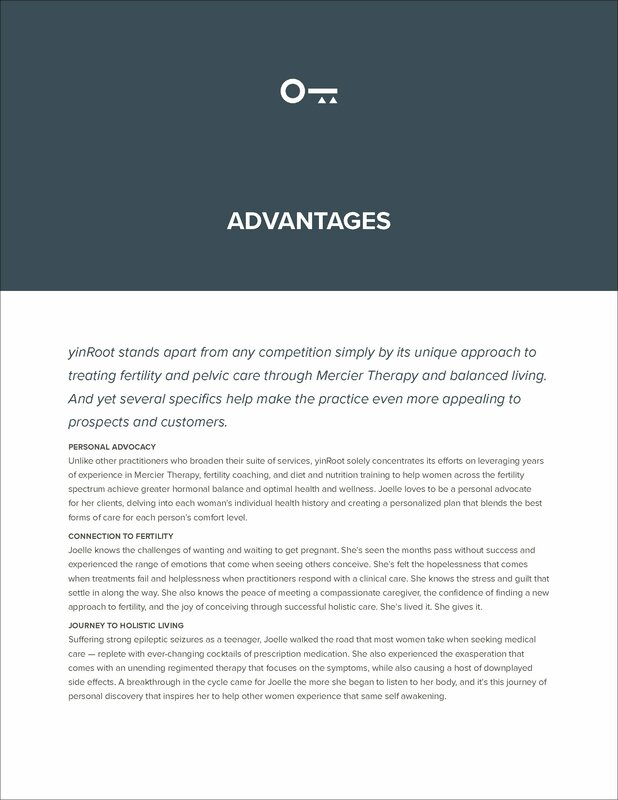 Joelle Samples operates yinRoot, giving women hope for their feminine and reproductive health through holistic pelvic healing — including Mercier Therapy, fertility coaching, and health + lifestyle education. And like most small business owners, she’s spread quite thin as she manages many facets of the business, including promoting the work, doing the work, and sharing the work. Consequently, finding the time to step back and evaluate the story she’s been sharing to her prospects and customers has been a challenge. 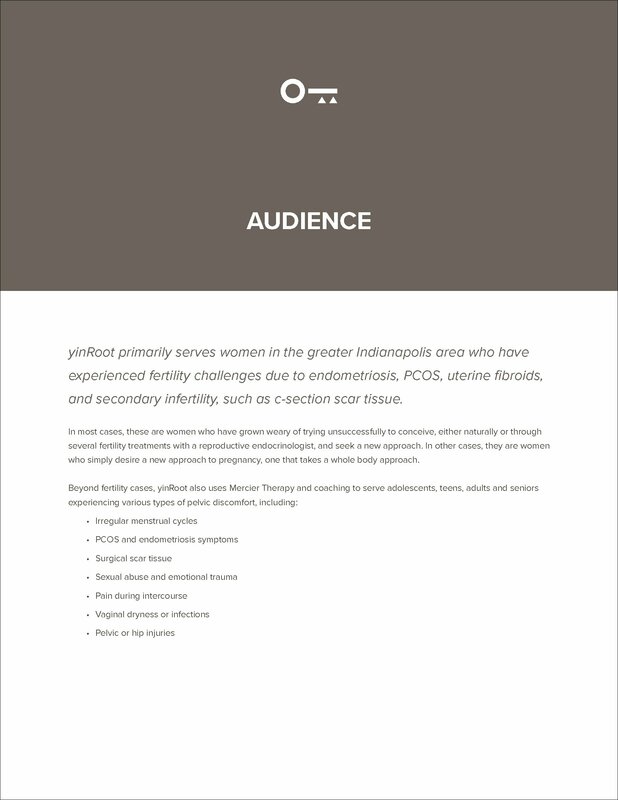 Keep reading to see how we helped give birth to a new narrative for her business. Working with Joe has been extremely beneficial for my private practice. Through our conversations, he helped me to dig deep into the foundation of my practice and reassess my "who" and my "why". 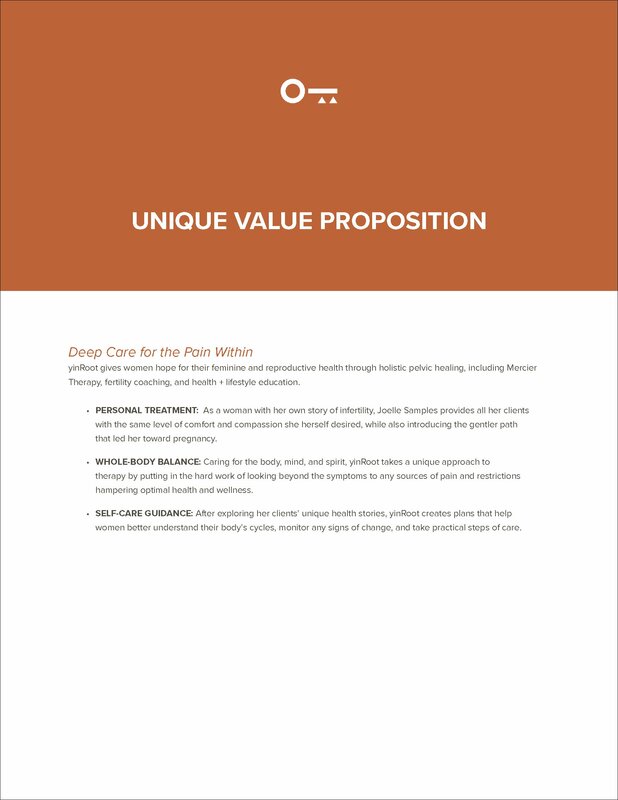 In turn, this has given me insight into a new target market that I would like to serve and a way to re-brand myself to reach a broader spectrum of women. 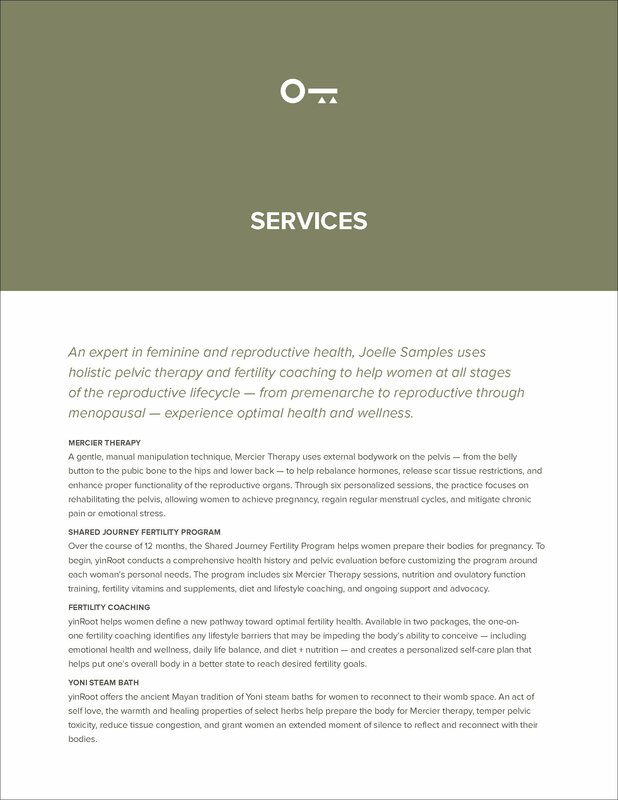 As a business that focuses exclusively on women, we believed the rigidness of Joelle’s existing logo did not lean toward the delicate stylings of most of her clientele. We refreshed the logo by identifying a new typeface that offered a more inviting look, with a softer and more feminine feel. We also slightly adjusted the original artwork included in her mark to make it more functional across several digital and print platforms. Below, you’ll see the old logo on the left and refreshed one on the right. 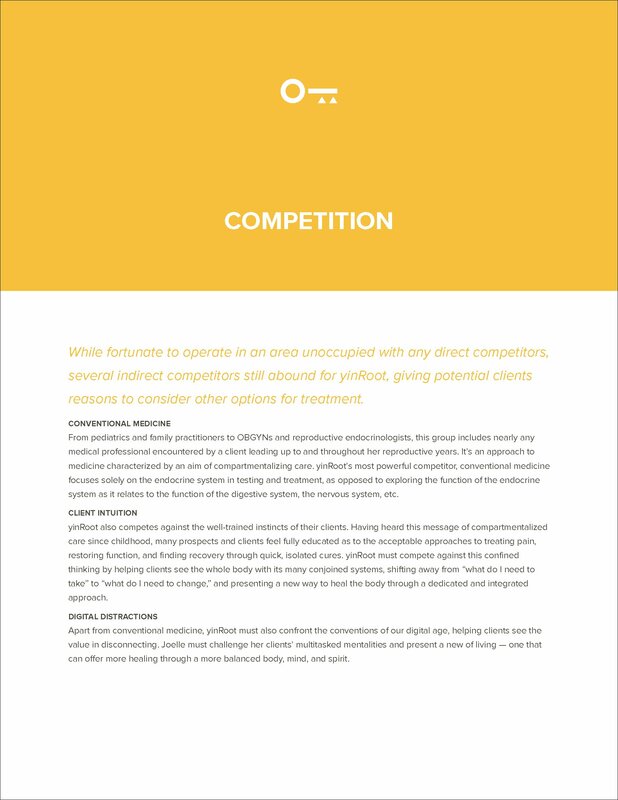 To offer Joelle the most compelling storyline for her prospects and customers, we also performed an in-depth exploration of the yinRoot business model to extrapolate her services, audience, competitors, and advantages. 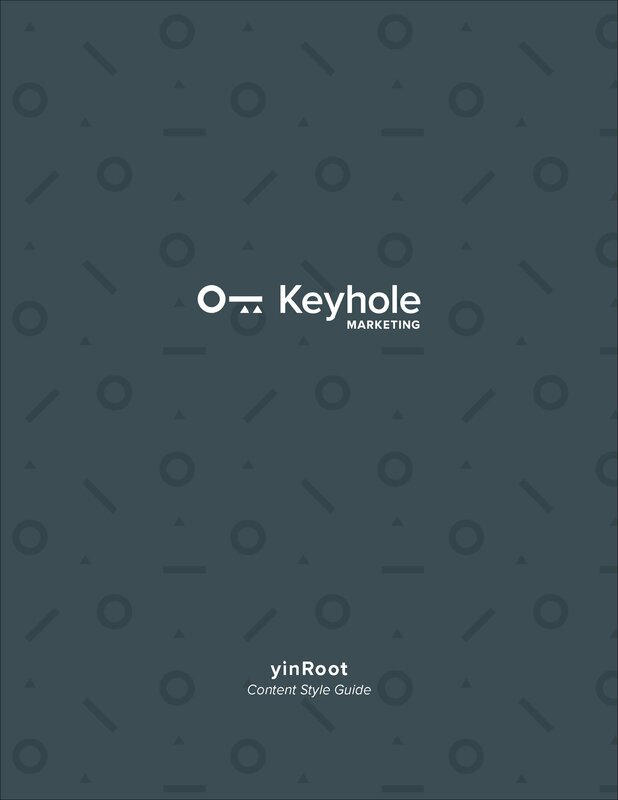 In the end, we presented Joelle with a comprehensive Keyhole Marketing Content Marketing Style Guide to guide her future content marketing efforts.